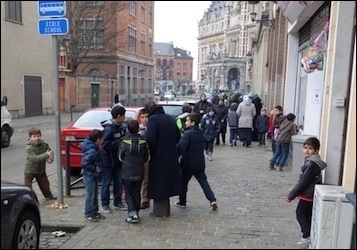 The existence of "no-go zones" in predominantly Muslim areas in Europe has been a major topic of conversation since the latest Paris massacre on November 13, primarily due to the assailants' many connections to Molenbeek, a heavily Muslim district of Brussels. This discussion brings to mind my visit to a drug- and crime-infested slum of 7,000 inhabitants in Marseilles, France, on Jan. 29, to see the situation for myself. A motorcyclist and a truck then zipped ahead of us and boxed us in on a nearby highway. Sitting in the car's front passenger seat, I was accosted and threatened by four young thugs. The city rep pleaded with them, telling them I was a visiting sociologist. They responded first with threatening comments and then by throwing a piece of concrete the size of a football through the back window. Luckily no on was injured, and they let us leave after the intimidating incident had concluded. I provided the mayor's office with audio, video, and still photographs of the thugs and their license plates. In many ZUS, I got out and walked around; nearly everywhere I took pictures. In some, I stopped and made purchases, had a meal, or visited a mosque. I did nothing provocative like evangelize, march in a gay pride parade, recruit for the army, or take pictures of drug dealers. I was not a threat. I then "left," none the worse for the experience. My forays into the ZUS suggest that they are in fact go-zones for innocous civilians. Even in Marseilles, had I shown up in a rental car, the thugs would likely have welcomed me as a potential drug customer. Firefighters, ambulance workers, and social workers routinely meet hostility in majority-Muslim areas. How to reconcile these experiences? My visits establish that non-Muslim civilians can usually enter majority-Muslim areas without fear. But things look very different from the governmental point of view. On a routine basis, firefighters, ambulance workers, and even social workers meet with hostility and violence. 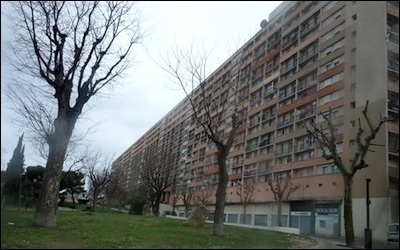 For example, days after I visited the Marseille slum, its residents shot at police preparing for a visit by the prime minister of France. Thus does it and its ilk represent a no-go zone for police, a place that government representatives enter only when heavily armed, in convoys, temporarily, and with a specific mission. Collins: "a district in a town that is barricaded off, usually by a paramilitary organization, within which the police, army, etc., can only enter by force."